A life-jacket of a perpetual calendar, discover the affirming words of Max Lucado as he helps you though each day with inspirational messages. 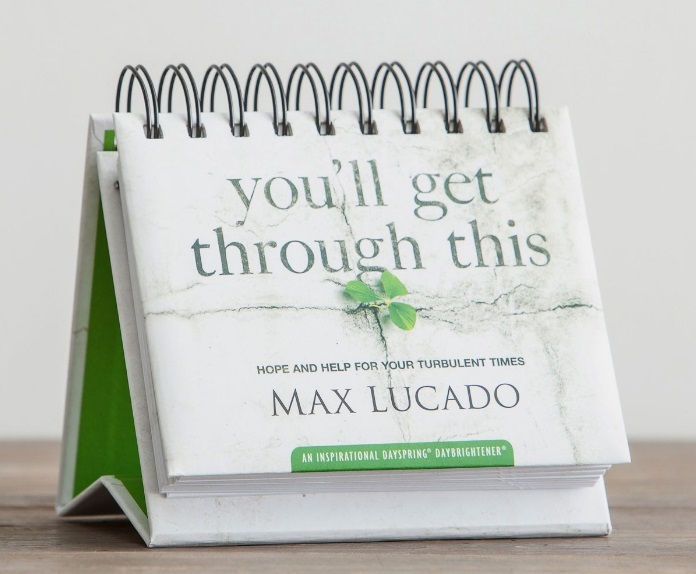 Max Lucado's "You'll Get Through This" DayBrightener with Perpetual Calendar draws inspiration for you from the Old Testament story of Joseph. You'll discover how, no matter what happens, we all fare better facing challenges with God's help. 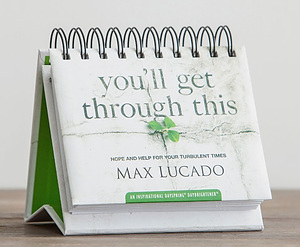 Be encouraged by the words and insights of New York Times Best-Selling author Max Lucado, along with hope-filled Scripture, as you spend a year seeking encouragement in times of greatest need. 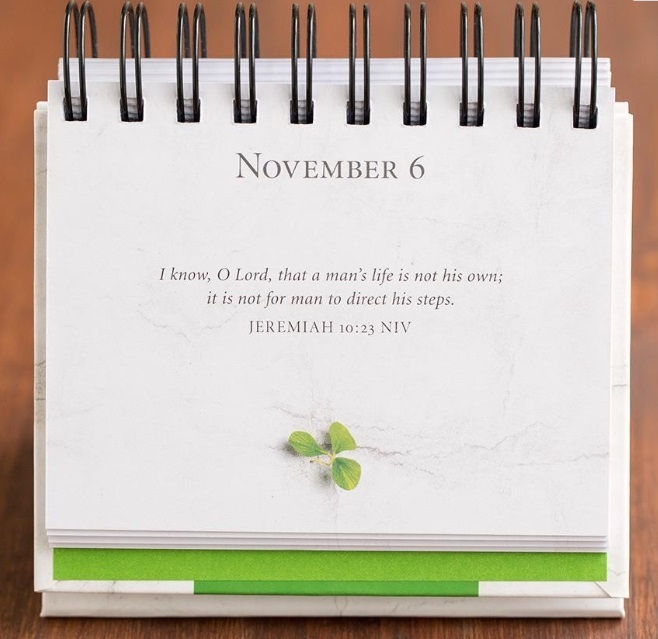 Dimensions: 5 1/4" x 4 1/4" x 1 1/2"
You'll Get Through This - Perpetual Calendar by Max Lucado is published by Dayspring and is our 8701st best seller. The ISBN for You'll Get Through This - Perpetual Calendar is 081983548529. Be the first to review You'll Get Through This - Perpetual Calendar! Got a question? No problem! Just click here to ask us about You'll Get Through This - Perpetual Calendar.